Finally, affordable timing gear that's fun to use! 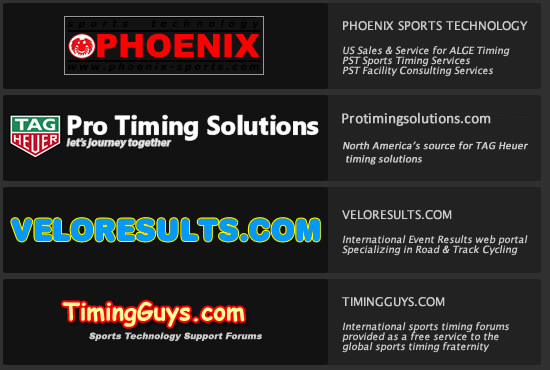 Consisting of parent Phoenix Sports Technology, and including sister sites Transpondersolutions.com, SportsTimingInternational, and Timingguys.com, the Phoenix group represents one of the largest and most diversified suppliers of sports timing equipment and services in the world. Placing particular emphasis on after-sales support, all members of the Phoenix group pride themselves on fostering and maintaining long-term customer relationships that benefit the world of Sport.